ImperialOak™ features some of the most desirable and exotic floors on the market. 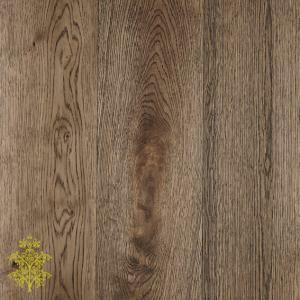 Oak timber features appealing grain markings, a typical density of 0.75 g/cm3, great strength and hardness, very resistant to insect and fungal attack because of its high tannin content and coupled with meticulous work done by hand on the floor surface, such as hand scraping, brushing, staining and lacquering, helps create a unique, appealing and highly sought after flooring. 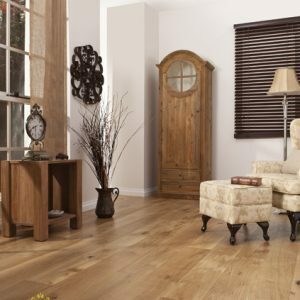 This flooring features pale brown and pale cream tones with light oak grains in a rustic finish. The light colours will create a open and cool atmosphere, resembling the interior of a antique seaside house. 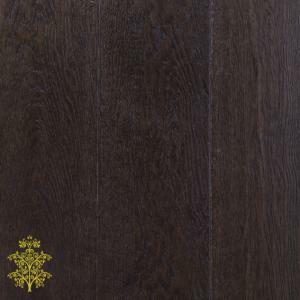 This extra wide (190mm) floorboards will create a stunning and wider looking floor. The ImperialOak™ range of 15mm Engineered Oak Timber Floating Flooring features 25 years structural warranty, beautifully stained 4mm oak veneer with a strong 11mm thick 3-ply backing, anti-UV coating, oak grains and texture, and a tried and trusted tongue and groove joint system. Long Life Comes with 25 Years Limited Structural Warranty. Protection from the Sun It is coated with a protective layer of lacquer that protects the flooring from the harmful UV rays of the sun. The Layer That Matters The flooring features a sturdy and durable 4mm veneer. This 4mm veneer allows the boards to be re-sanded and re-stained if it is needed in the future. It also comes in a matte finish that helps to conceal scratches that might occur over the lifetime of the floor boards. Easy to Clean and Low Maintenacnce. If you are a good with power tools and glue then installing this flooring is a piece of cake. Can Be Used 24 Hours, 7 Days a Week. Rated with an E1 Emissions Rating.